A lonely maze adventurer is trapped and is trying to get away from a rolling ball. You is the player direct the ball which may be of three different sizes. The main aim is catching up to the adventurer before he gets to the end of the maze. 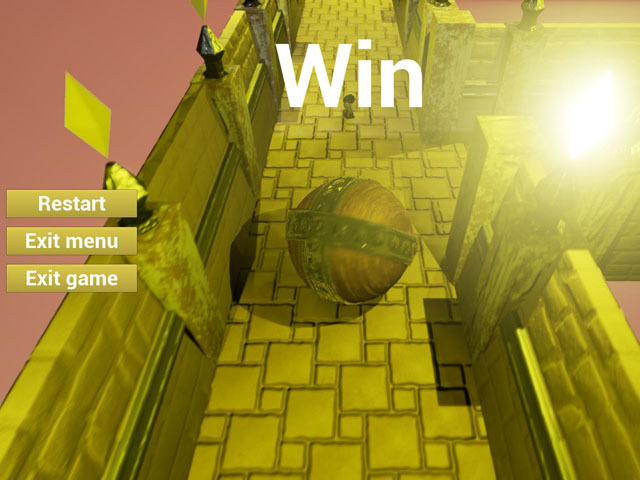 On the way there are obstacles for the ball, versions of which are generated randomly.